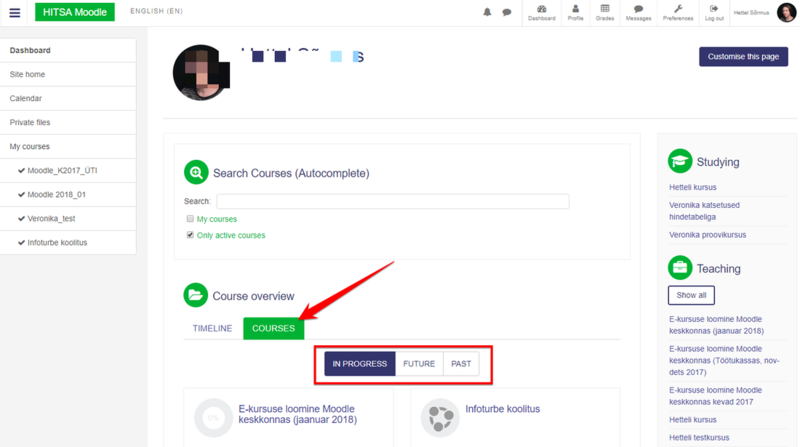 Where can I find my courses in Moodle? The courses are divide into three sections: in progress, future and past. The classification depends on the dates of the course (Home page of the course > Action button > Edit settings > Course start date / course end date) - if your course has only start date and doesn't have end date, then it's always visible in section "In progress".